Sawali\'s Animal First Aid and Rehibilitation or SAFAR is a division of a reputed NGO named Sawali Samajik Sanstha. 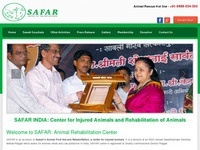 Safar works for animal rehabilitation and cow protection. Safar center is registered by Charity Commissioner of Raigad district. Animal rehab center Safar has 30 volunteers at present. Safar center also provide cow protection services by its division named Sawali Goushala. Sawali Goushala completely works for cow protection in India. 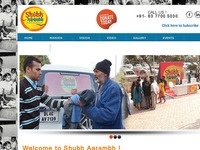 Shubh Aarambh Charitable Foundation is a NPO (Non Profit Organization) dedicated to address the needs and interests of infants, young, adults and old. Through information and education, advocacy and service, we seek to enhance the quality of life for all by promoting independence, dignity, and purpose.